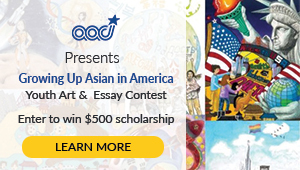 Send Your Obon and Summer Festival Announcement to the Japanese American Community! download the 2018 Obon and Summer Festivals Guide Advertisement Reservation Form. For templates of illustrated Obon Advertisement samples, click HERE. The Nichi Bei Weekly is gearing up for its 2018 Obon and Summer Festivals Guide — one of the most highly-anticipated issues of the year filled with original stories of community and historical nature, food and geographic diversity written by Nichi Bei’s dedicated staff and contributing writers. The largest guide of its kind, we feature more than 150 Obon and summer festivals throughout the country. 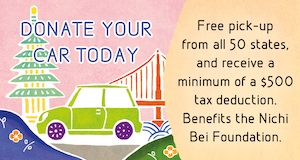 Advertise in this special edition and reach out to a national audience — from San Francisco, San Jose, the East Bay, the Peninsula, the Sacramento Valley and throughout Northern California, Southern California and other cities across the country including churches, community centers, Japanese grocery markets, restaurants and our readers. The Nichi Bei Weekly is published by the Nichi Bei Foundation, a nonprofit educational and charitable organization with a strong community-serving mission. 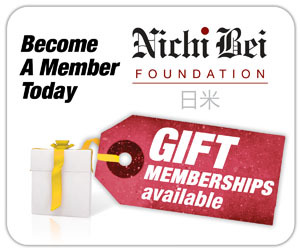 Your advertisement is critical as it helps support the Nichi Bei Foundation’s efforts to keep the community connected, informed and empowered and sustain the Nichi Bei Weekly, which serves as a voice for our community. Here is our link for the Obon and Summer Festivals Guide/Order form: please e-mail or mail this back to us by Friday, June 1, 2018 for inclusion in this special edition. For questions or reservations, please contact our Advertising Department at (415) 673-1009 or e-mail ads@nichibeiweekly.org. EARLY BIRD SPECIAL 10% off — If we receive your payment and advertisement/art file by Friday, May, 25, 2018. We look forward to your advertisement in the 2018 Obon and Summer Festivals Guide. From all of us at the Nichi Bei Weekly, we thank you for your continued support. RESERVE YOUR AD TODAY! SEE THE FORM BELOW. Easy reservation and online payment method, all you need is a credit card. Please e-mail us at ads@nichibeiweekly.org for any questions. Click here to download our 2018 Obon and Summer Festivals Guide Advertisement Reservation Form. To make an online payment, please scroll down below. Please inquire about premium positions. Advertisement will not be placed until full payment is received. Please contact your ad manager if you have questions.